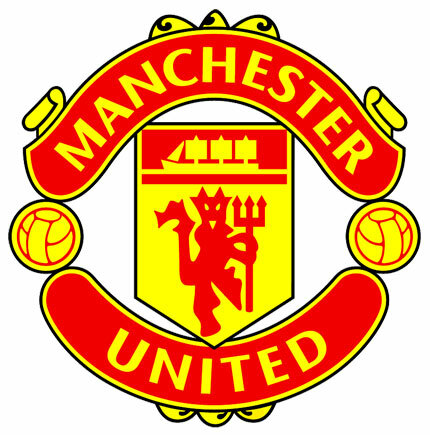 Premier League Preview for Manchester United vs Manchester City along with predictions for the matches on week 32 of the EPL. Follow up each match with results and video highlights posted later in the week. You can also check out the weekly EPL TV Schedule. At the beginning of the season this match was looked at as a potential title decider in the race to finish top of the Premier League table. At this point it looks more likely to go down as simply bragging rights for the winner. A Manchester United win makes it close to mathematically impossible for Man City to come back. A City win could give them a boost in finishing the season strong, it could also add concern to a somewhat inconsistent United team. Looking at recent EPL form sees United the much stronger team. In their last 10 matches they are 9-1-0 with the one draw coming against Tottenham way back on Jan 20. In that same span City are 6-2-2. However, it’s not that simple for United. They have given up recent matches to Real Madrid and Chelsea resulting in being knocked out of the Champions League and FA Cup. They have gone from a possible Treble winning team to one that is limping towards “easily” winning the Premier League. Robin van Persie has almost completely disappeared, going from the hottest striker in the league to an afterthought. His last real involvement was an assist in their 4-0 win over Norwich on March 2nd while his last goal came all the way back on February 10th against Everton. Still, he made his mark early in the season and that has been enough to carry them through to this point. The question is: Can he become a United legend by scoring two match winning goals against Manchester City? Manchester City is a team that has largely turned around their season, and yet there are many question marks still. Vincent Kompany is back to solidify their defense and they have a mostly fit side with Nastasic and Maicon their only real concerns. They have plenty of attacking options, even if they haven’t always worked out as intended. Manchester United should have Jonny Evans and Wayne Rooney available, but Rafael is out. It is debatable whether Ashley Young or Nani will play in this one considering how poor they have been lately, especially following Nani’s performance against Chelsea. My prediction for this one is a draw. I had originally picked City for the win, but I have a feeling that Sir Alex will get the United team up for this one, especially following their defeat in the FA Cup and their poor outing against Sunderland last week. Despite that I have a hard time seeing United win considering their poor play combined with City playing much better. That said, football has a large amount of luck in it (such as the deflection in the last Manchester derby leading to van Persie’s match winning free kick) and United has been riding theirs all season long. Man Utd will come out as victors by beating Man City by 2-1 and edge closer to claiming the EPL championship which eluded them last season. A win would be great and definitely doable. I know that I did my predictions coming off the back of their loss to Chelsea as well as what I thought was an untidy win over Sunderland. So, I wasn’t really feeling like they have what it takes to beat a City side that has started to gain some confidence recently. It is certainly going to be a close match and could very well go City’s way. I am sticking with my pick of a draw.